Pre-Production has started on a new format Interactive Web-Series. Alexander Hathaway has been announced as the series lead character. 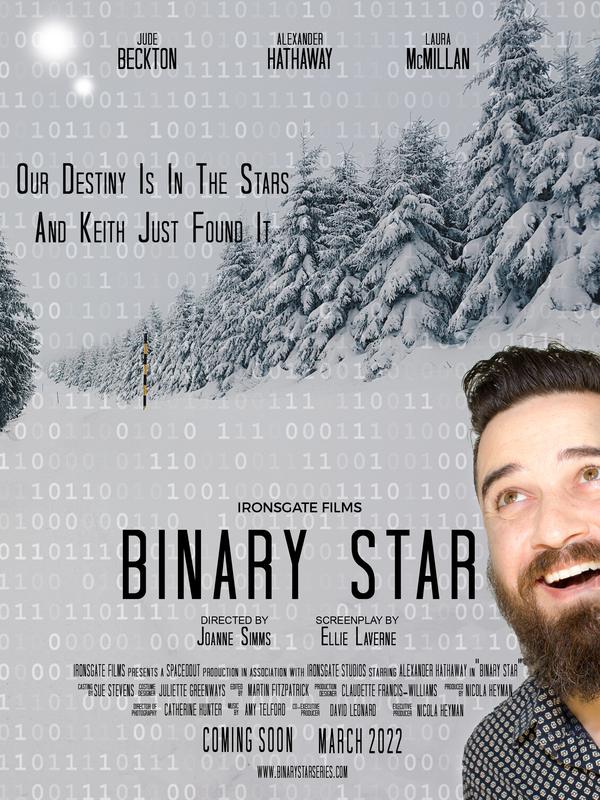 Ironsgate Films presents: "Binary Star" - an original interactive, On-Demand series, currently in pre-production, to be filmed in the USA. Keith Fairfield is a simple man, he leads a simple life. On his 40th Birthday, his brother buys him a telescope. Not knowing what to do with it, he joins a local amateur astronomy club and finds a new band of brothers and sisters. A chance discovery one night propels him to the heady forefront of the international science community. He uncovers something about his famed discovery that will change the course of history. "Binary Star" is a story about friendship, community, chasing a dream, adventure and about standing up for what you believe in. Not to mention how to use a telescope! An intelligent, interactive, Mystical and fantastical journey into the cosmos, with Keith.